Announcements regarding compact crossovers tend to fill us with as much excitement as announcements about new vegetarian restaurants (since we’re confirmed meatatarians). When we first heard that Audi would show a custom version of its upcoming Q3 crossover in Detroit, we’ll admit that our eyelids got a bit heavy. After all, how exciting could a compact grocery-getter be? 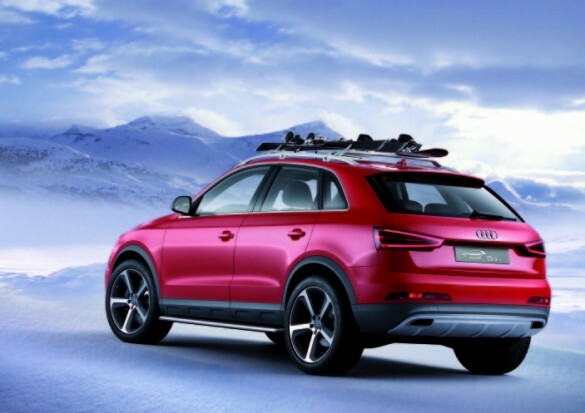 Plenty exciting, as it turns out, especially when said grocery-getter packs 314 horsepower and quattro all-wheel-drive into one tastefully styled package. We won’t bore you with Audi’s pages of details on styling elements, but we’ll sum it up by saying that the Q3 Vail looks both aggressive and refined at the same time. We like the Energy Red paint, which contrasts well with the matte gray and aluminum trim, and think the Q3 Vail is a stunner from any angle. There’s some impressive attention to detail in the Vail as well. 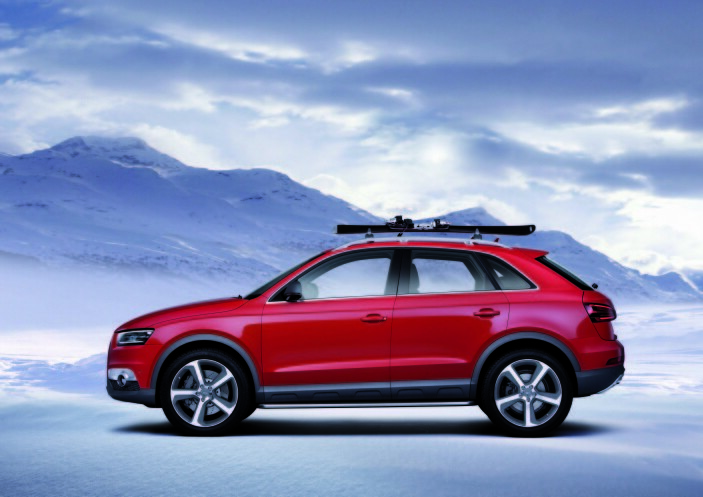 The roof rack uses LED lighting to illuminate the sides of the car when loading passengers or cargo. In the bed, a heated trunk mat folds out to cover the bumper, assuring that you’ll always have a warm place to sit. There’s an inductive charing station for things like flashlights, and a heated Thermos bottle ensures that hypothermia isn’t a concern. Under the hood is Audi’s 2.5-liter turbocharged TFSI engine, good for 314 horsepower and mated to a seven speed S tronic transmission. 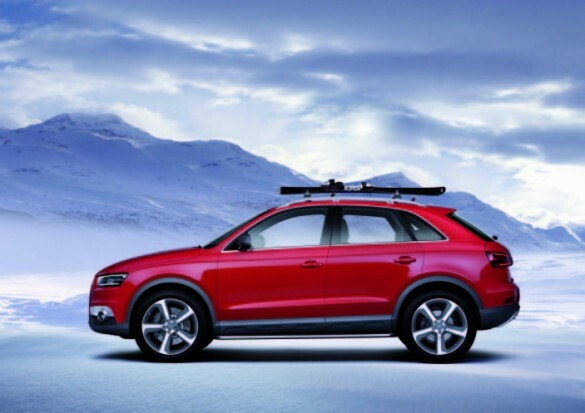 Ensuring that the power gets to the ground is the job of the quattro AWD system, and Audi claims that the Q3 Vail can sprint from 0 to 62 mph in just 5.5 seconds, before topping out at nearly 163 mph. 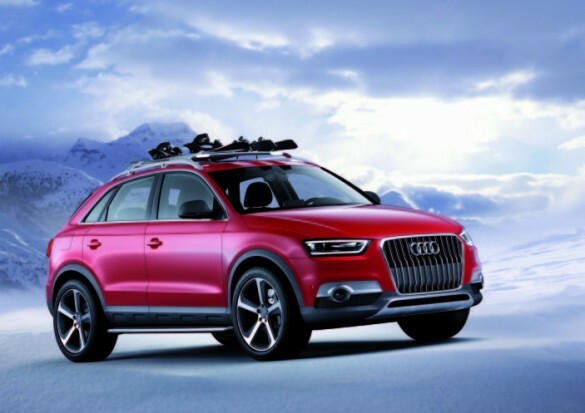 There’s no word if Audi will build the Vail, but the Q3 crossover will hit U.S. Audi dealers this spring. There’s no word on what engines will be available, but we certainly hope Audi includes the drivetrain from the Vail concept as an available option.